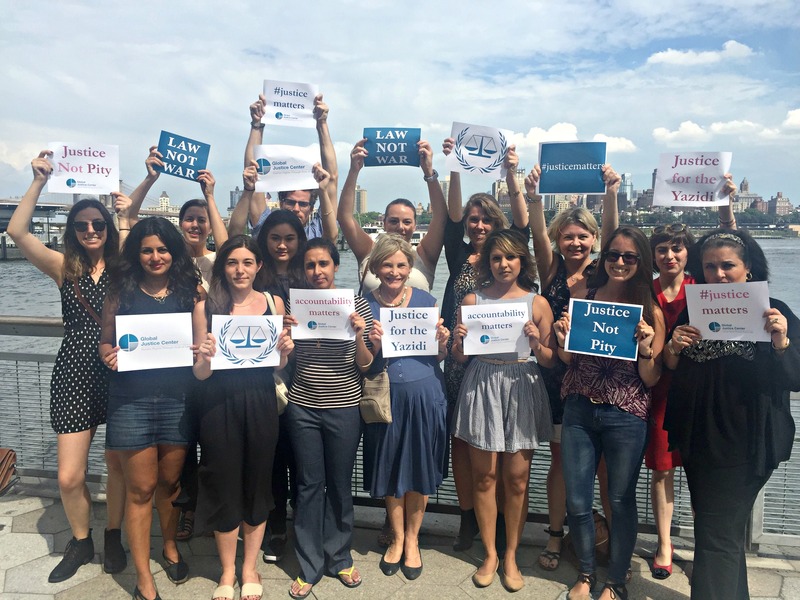 Justice for the Yazidi Survivors of Islamic State Killings. Yazidis wait for justice against the ISIS Genociders. Shamima Begum: IS teenager to lose UK citizenship. Let’s not forget this story. “There is no protection. Those who killed us and held us captive and tormented us have returned to their villages,” Khalaf, 40, said, referring to the neighboring Sunni Arab villages who the Yazidis say conspired with the militants. “We have no choice but to stay here. … They are stronger than us. As the war against ISIS enters its final phases the victims of ISIS are still suffering. ISIS carried out its worst mass murder between June and August 2014, targeting Bedouin tribes in Syria, Shi’ites in Camp Speicher and Tal Afar, and then Christians in Mosul and Nineveh plains in Iraq. In August 2014, Yazidis in Sinjar awoke to news that Islamic State was attacking villages across areas of northern Iraq where their minority group lives. Within days more than 300,000 Yazidis had to flee and more than 10,000 were kidnapped by ISIS. In their most brutal and cruel act of a long list of atrocities, ISIS separated the Yazidi men and women and put the women on buses to be sold into slavery. In scenes reminiscent of the Holocaust they then took the men and elderly women and systematically murdered them, dumping their bodies into mass graves across northern Iraq’s Sinjar region. In December 2015 the mass grave sites had been recently discovered. Some of their locations were known because Yazidis who had fled to Sinjar mountain were able to look down on the plains below and watch as ISIS murdered their relatives. In rare cases survivors of the massacres, hiding under the bodies or having escaped somehow, brought news back. There are exact parallels to the mass murder of Jews by the Einsatzgruppen during the Holocaust. I was struck by the fact that the mass graves looked identical to photos I’d seen from the Shoah. I was not prepared however to see the matted human hair, the skulls, the soccer jerseys and blindfolds the people wore, decaying on the ground. When I arrived it was more than a year after the bodies were dumped in the ground. Rain had brought the bones and human remains up to the surface. People said that stray dogs had eaten at the bodies. And this happened in August 2014, before the world’s eyes with basically no attempt to stop the mass killing, despite the fact that drones could easily have seen what was going on. From 1941 to 2014, nothing changed, except the fact that ISIS used smart phones to make videos cheering the killing, videos uploaded to social media. The “Rebel” tent at The Levellers festival: Who on earth would want to attend this event? Former Middle East editor of the Guardian. Author of ‘Arabs Without God’. A prominent example is the work of Vanessa Beeley, a supporter of the Assad regime whose reports from Syria have turned her into a social media celebrity. The Russian propaganda channel, RT, describes her as “an independent investigative journalist” and, in addition to her Russian TV appearances, she is associate editor of 21st Century Wire, the conspiracy theory website that publishes most of her work. Beeley (fourth from right) with President Assad in 2016. She described it as her proudest moment. 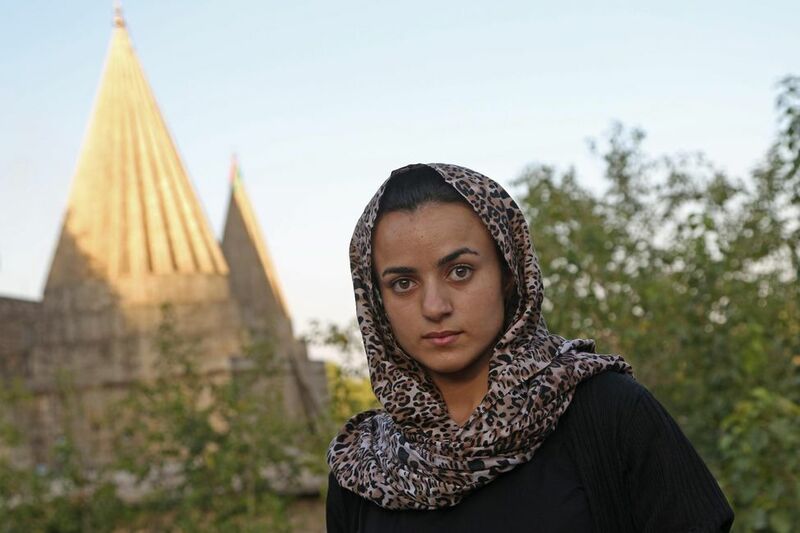 Tragedy of Yazidi Woman Who Met Islamic State Gaoler in Germany. A 19-year-old Yazidi woman has fled Germany with her family after encountering the “Islamic State” (IS) fighter who had enslaved her in Mosul on the streets of Schwäbisch Gmünd, a town in Baden-Württemberg. 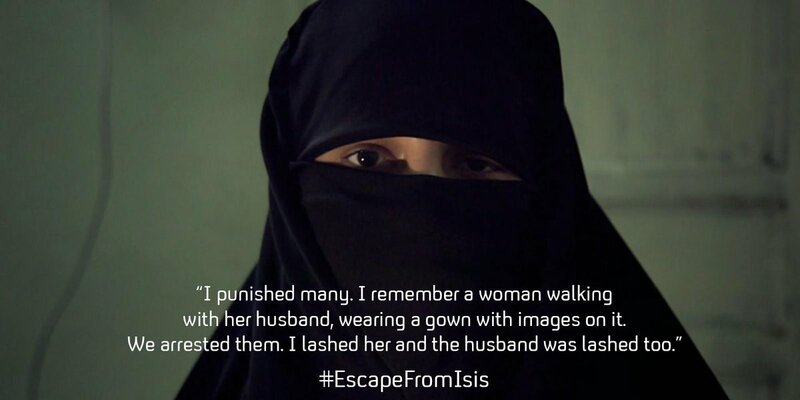 Ashwaq Haji Hamid arrived in the southwestern state with her family in 2015 through a programme aimed at assisting Yazidi women who had been subjected to violence by IS. This tragic case raises the issue of how to prosecute Islamic state genociders. Some of the members of the modern Einsatzgruppen who went and fought for Daesh have been found, some executed, and others face prosecution. Prosecuting the Islamic State Fighters Left Behind. In Syria, the SDF operates amid a civil war and depends on U.S. aid to maintain operations. It is reportedly holding 593 fighters from more than 45 countries, including Egypt, France, Germany, Morocco, Russia, Saudi Arabia, Tunisia and Turkey. In Iraq, out of the approximately 19,000 individuals detained for ISIS-related terrorism charges since 2014, some 1,350 are foreigners. Foreigners and citizens face quick trials, differing standards of evidence and harsh penalties. Iraq’s 2005 counterterrorism lawpermits judges to sentence anyone holding membership in a terrorist organization—regardless of their role—to death. As of March, more than 3,000 individuals had received the death penalty and many others faced life in prison for their involvement in the group. The Iraqi government now needs to delicately balance sectarian tensions. Building trust between citizens residing in formerly ISIS held territory and the Baghdad-led government remains its biggest challenge to permanently rooting out the Islamic State. Daesh poses the same kind of problem that came after the Second World War, of tracking down and prosecuting war criminals and those who took part in genocide. This present case illustrates the difficulties faced: Two British ‘Beatles’ Islamic State Fighters Captured In Syria. They were part of the same group as ‘Jihadi John’. As ISIS Massacre in Sweida Druze call for “international force” protection as charges of Assad and Russian complicity surface. Druze Women Kidnapped by Daesh. Rukmini Callimachi: the podcasting terror expert getting into the minds of Isis. Occupation forces are forcing the Yazidi people in Basufane village of Afrin to send their children to mosque. Those refusing to do so are subjected to torture. According to the sources, Yazidi citizens A.S. ve F. S. were tortured by the gangs because they refused to obey this imposition. According to sources from Kaxira village of Mabata district, Furqat al-Hamzat gangs under the command of Abu Amsha have turned the village school into a center where religious lessons are lectured. The house of villager Henan Ebdo stated has been turned into a mosque where children are given religious lessons. Another resident’s house has been burned down by the gangs. Two months ago, the gangs tore down the Afrin Yazidi Union building, detonated the Zarathustra statue and burned the books about the Yazidi faith kept in the building. July 25 in the Syrian province of Sweida a massacre began in the early morning. Ten jihadists from the so-called Islamic State entered Sweida town. They wore the traditional baggy trousers and loose-fitting overgarments of Druze men, but beneath the clothes they had hidden explosive vests. Three detonated in the main vegetable market, then one of them accompanied the many injured to the hospital and set off his explosive charge there. The other six suicide bombers were overcome before they could detonate, according to senior officials in the Druze community. 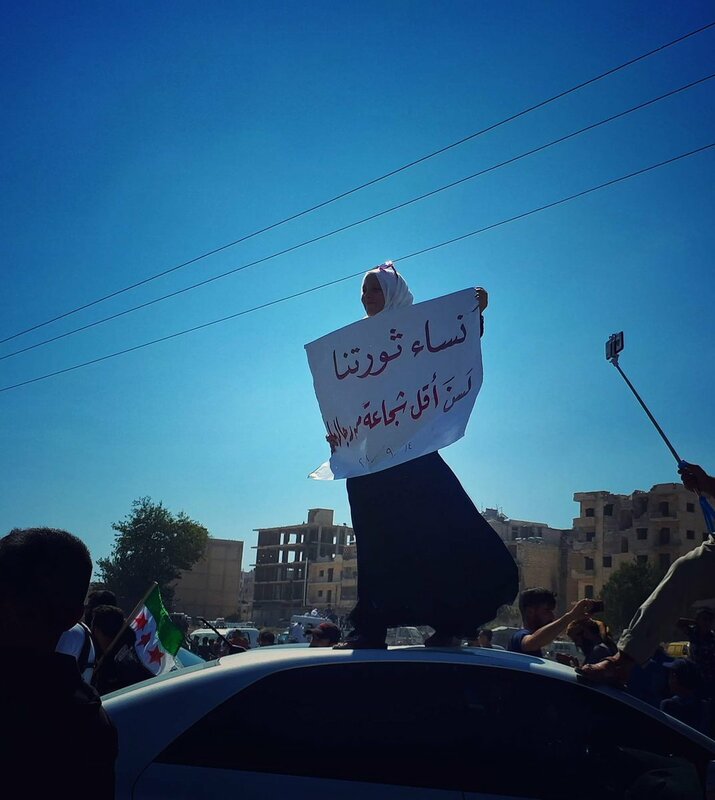 “Daesh said they will make them sabaya [slaves] if the regime doesn’t’ give 100 prisoners to them and the regime refused,” one of our interlocutors told us. The article, by respected reporters of the horrors of the Syrian events gives details of why the Druze suspect Syrian state complicity. 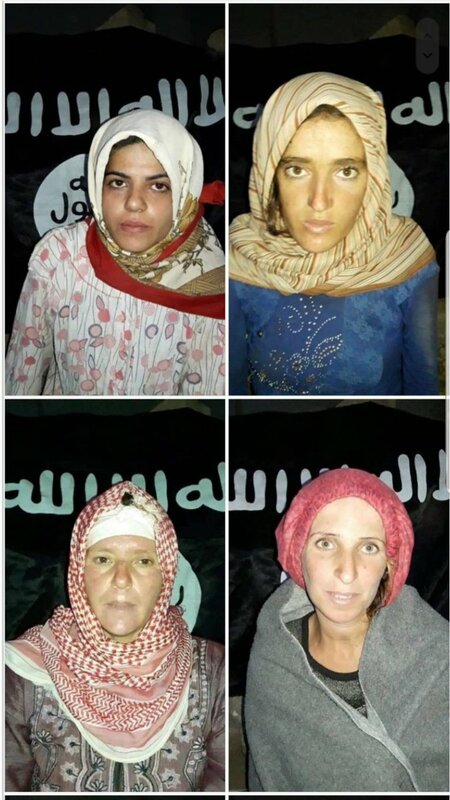 At least, 14 Syrian women from the Druze minority were kidnapped by ISIS after the last massacre in #Sweida. BEIRUT (Reuters) – The main leader of the Druze sect in Lebanon on Friday attacked the Syrian government for failing to stop an Islamic State massacre of Druze in Syria, saying it should have noticed the militants gathering to attack. No one can tell me that the squadrons of many American, Russian and foreign planes did not see this gathering which suddenly took the regime by surprise and raided Jebel al-Arab,” said Walid Jumblatt. The attack reveals once again the true face of IS and shows clearly that this terrorist group must be destroyed as soon as possible. IS terrorist organization continues its existence as a threat to the Syrian and all Middle Eastern peoples. As People’s Defense Units we will continue to intensify our efforts to struggle against the IS. As YPG-YPJ defense forces, we will continue our struggle in every place where the IS terrorism is present. We once again emphasize our determination to fulfill our responsibility concerning protection of all the peoples of Syria, including the Druze people, and we declare that we are ready to protect them everywhere where it will be necessary. This attack is as burdensome and painful as an attack on Kobanê and Cizir for us. There is an entire Wikipedia pages in English, and in French on these massacres: 2018 As-Suwayda attacks. Attaques de Soueïda.